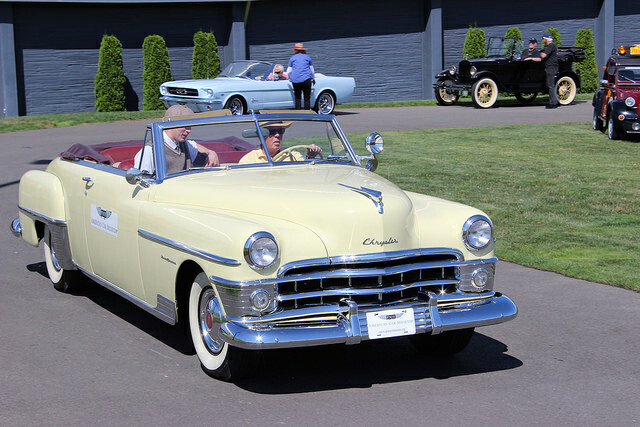 On Saturday, LeMay - America’s Car Museum in Tacoma, Washington, hosts the “Summer Ender Fender Bender” cruise-in. 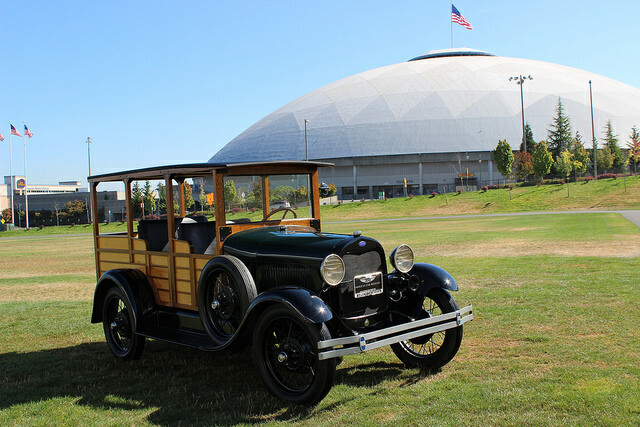 On Saturday, LeMay – America’s Car Museum in Tacoma, Washington, hosts the “Summer Ender Fender Bender” cruise-in. Participating cars are eligible for awards. Guitars from Fender will be available to play. Children 8-14 can participate in the Hagerty Youth Judge program. Also, the museum has selected Peter Gleeson as 2016 Master Collector. Starting Sunday, a portion of Gleeson’s collection will be on display at the museum throughout the next year, includiong his 1939 Lincoln Zephyr hot rod, 1974 BMW CSL, 1975 Dexter Brown BMW 3.3Li art car, and 1978 Frank Stella BMW M1 art car. Saturday, the California Automobile Museum in Sacramento hosts “Cruise Fest on Fulton Avenue.” Cruising runs from 4 p.m. to 6 p.m. with other festivities until 8:30 p.m.
“Cars, Corks, and Chocolates” is the draw at the America on Wheels Museum in Allentown, Pennsylvania, on Saturday from 11 a.m. to 4 p.m., with wine tasting starting at 1 p.m.
Also Saturday, David Fetherston presents “Bonneville –- Then and Now” as part of the Blackhawk Museum’s speaker series in Danville, Californias. The Simeone Automotive Museum holds a Demo Day this Saturday featuring a 1929 Stutz Supercharged Le Mans, 1933 Alfa Romeo 8C 2300 Mille Miglia Spyder, 1935 Auburn 851 Boattail Speedster, and a 1936 Bugatti Type 57G Tank, those cars selected to show the power and flexibility of the eight-cylinder engine. Across the pond, the British Motor Museum in England holds the sixth annual Retro Truck Show on Saturday and Sunday featuring approximately 250 trucks produced between 1960 and 2000. September 11, the AACA Museum in Hershey, Pennsylvania, holds the PAWS Car Show benefiting local animal shelters, from 9 a.m. to 3 p.m. The World of Speed Museum in Willsonville, Oregon, hosts a museum-member-only “road ramble” Sunday. Members are encouraged to bring classic cars and hot rods and meet by garage door No. 1 in the museum’s parking lot at 12:45 p.m. with departure to St. Josef’s Winery at 1:30 p.m.
Sunday, the Gilmore Car Museum in Hickory Corners, Michigan, hosts the 22nd annual “Muscle Cars PLUS Car Show and Swap Meet.” Featured will be the 1962-1973 Chevrolet Nova and 1967-73 Camaro. The show goes rain or shine from 9 a.m. to 4 p.m. Admission is $20 for show cars and for vendors who participate in the swap meet. Spectators are admitted for $12. To celebrate National Day of Service and Remembrance, the Seal Cove Auto Museum in Seal Cove, Maine, offers free admission to guests who make a donation to Westside Food Pantry. The organization does not accept food but works on a voucher system that helps keep food cost down while providing more options to families in need. On September 24, participating museums will offer free admission in celebration of Smithsonian Museum Day. Museums ask that guests download or print an e-ticket from their websites. Participating museums include the AACA Museum in Hershey, Pennsylvania, and the America on Wheels Museum in Allentown, Pennsylvania. Saturday, September 17, the Seal Cove Auto Museum holds Cars and Coffee from 9 a.m. to noon with various military vehicles on display, including some from the Coast Guard and National Guard. Additionally, Cars and Coffee is scheduled at 8 a.m. September 17 at the Kansas City Automotive Museum. The California Automobile Museum celebrates the 50th “auto-versary” of Star Trek on September 17. The celebration takes place at the museum from 10 a.m. to 5 p.m. and features activities like Star Trek jeopardy. Attendees are encouraged to come as their favorite character and enjoy the space inspired cars. The AACA Museum plays host to a Corvair car show September 24 from 8 a.m. to 3:30 p.m. “People’s choice” awards are to be given to participating cars and attendees can enjoy door prizes, a scavenger hunt in the museum, food, and various vendors. The following day, the museum holds a Matchbox Toy Show from 9 a.m. to 4 p.m.
Cars and Coffee is held at the museum within its “secret garage” on October 6 and 7 from 7:30 until 10 a.m. Donuts and coffee will be served. Volvo is the featured marque September 24-25 at the 2016 Foreign Auto hosted by the Owls Head Transportation Museum. The free show welcomes all years of Volvo and all pre-1996 vehicles. The National Corvette Museum in Bowling Green, Kentucky, holds “Holley LS Fest” on October 9-11. The event is a celebration of everything powered by a GM LS engine. Race cars, street rods, rat rods, muscle cars, trucks, late models are all welcome and event activities include drag racing classes, autocross, 3S Challenge, TrackX, Show-N-Shine and more. The TrackX will utilize the NCM Motorsports Park’s east track configuration. Also, the museum has opened registration for the 2016 Vets N Vettes car show for November 3-5 and invites veterans to visit the museum and the museum’s track for rides in participant’s Corvettes. 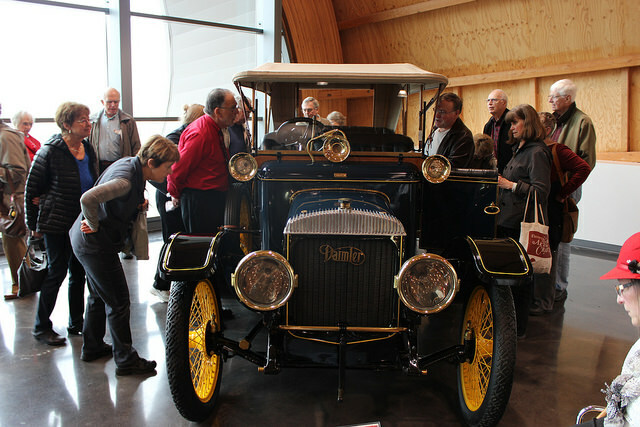 The Blackhawk Museum holds Picnic on the Plaza for pre-war classic vehicles on October 9. The Automotive Hall of Fame in Dearborn, Michigan, plans Cars and Coffees for October 15. The National Sprint Car Hall of Fame & Museum holds a VIP reception on September 15, featuring recent North-South 100 winner “Smooth Operator” Bobby Pierce, and his father, Bob Pierce, the “Tall Cool One.” The event also features a Late Model 101 panel discussion entitled “Busch All Star Tour” with several series officials and drivers. The following day the museum holds its annual fundraising auction. The World of Speed Museum in Wilsonville, Oregon, holds its inaugural Spark Gala on September 17. Proceeds support the museum’s education programs. Additionally, the museum holds the final practice and qualifying run September 29 from 5:30 to 8 p.m. for the “simulator race series.” Drivers with top qualifying race times advance to the finals, which take place on October 27. 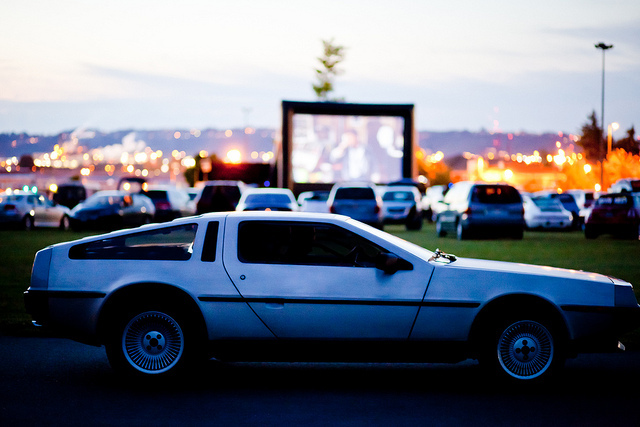 On September 28 the Kansas City Automotive Museum features the Lego Movie and Ghostbusters during their free drive-in movie night. Slated for October 1, the Gilmore Car Museum in Hickory Corners, Michigan plans to show American Graffiti. Admission is $10 per car load and the museum encourages guests to bring lawn chairs and blankets to enjoy the movie, scheduled to start at sunset. On October 21-22, the Simeone Museum hosts Corvette Racing program manager Doug Fehan and two-time Le Mans-winning driver Tommy Milner for a two-day celebration of Corvette Racing. Highlights include dinner, a meet and greet, Demo Day, memorabilia auction and autograph session. 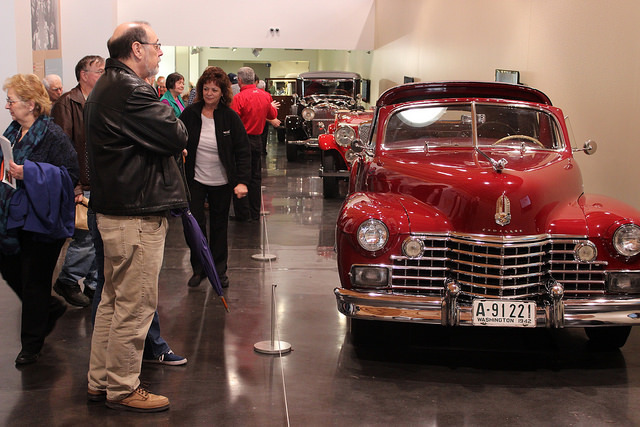 The Seal Cove Auto Museum holds a Masquerade Ball on Saturday, October 22 from 7 p.m. to 10 p.m. The California Automobile Museum holds its annual Art of the Car benefit November 4, starring artist and car enthusiast David Garibaldi. The dinner supports the museum’s mission to preserve, exhibit and teach the story of the automobile and its influence on our lives.